Born in Manchester in 1878, Percy Lancaster studied architecture before taking up painting, studying at the Southport and Manchester Schools of Art. 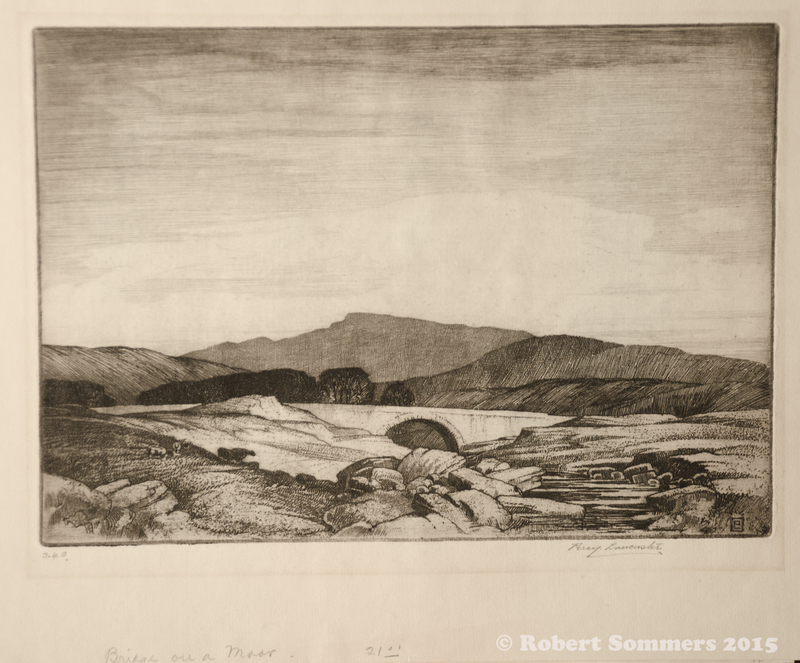 A fine landscape painter in both oils and watercolours, he was also a fine etcher, being elected an Associate of the Royal Society of Painter-Etchers and Engravers in 1910. Four years later he was made a full Member of the Royal Society of British Artists and, in 1921, member of the Royal Institute of Painters in Watercolours. He was shown in many of the major institutions and galleries in the UK, including 20 works at the Royal Academy, 60 at the Royal Society of Painters, Etchers and Engravers, 12 at the Fine Arts Society, 123 at Liverpool’s Walker Gallery, 68 at the Royal Cambrian Academy, 104 at the Royal Society of British Artists and others up and down the country.